Orange County, Orlando is the home to many amusement parks. Where there are amusement parks, there is an abundance of people. And, any time there is an abundance of people, the probability of an accident happening increases. Orlando’s aquatic theme park, Sea World, hosts millions of visitors annually. Therefore, the likelihood of a person visiting Sea World and becoming a victim to an amusement park injury is a very real possibility. Personal injury attorney Walter F. Benenati is located in Orange County, Orlando and has seen first-hand the consequences of amusement park injuries. Our personal injury law firm has experience protecting the rights of those both living here and those visiting the Orlando area. What Should I Do If Am Injured At Sea World? After ensuring your immediate safety, seek a staff member to help you create an accident report. If there were any witnesses, ask them for their contact information. Survey the area where the accident happened and take pictures. At the Benenati Law Firm, our main concern is your well-being. Once you are resting comfortably, do not hesitate to call our office to discuss your amusement park injuries and the situation leading up to your accident. If you were injured at Sea World, you might be entitled to compensation. Let our law offices answer any questions you may have. If you or a loved one have been injured at Sea World, you owe it to yourself and loved ones to consult with a personal injury attorney. The Orlando personal injury law firm team at Benenati Law Firm devote themselves to helping you and your family overcome any setbacks your injuries may have caused. Our firm focuses on the client and provides personalized attention to every detail. 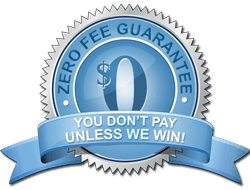 Call our offices to schedule your risk-free consultation today at 407-777-7777.